Even though the move from the apartment to the house isn't quite finished, my life is returning to a little more normal of a flow. 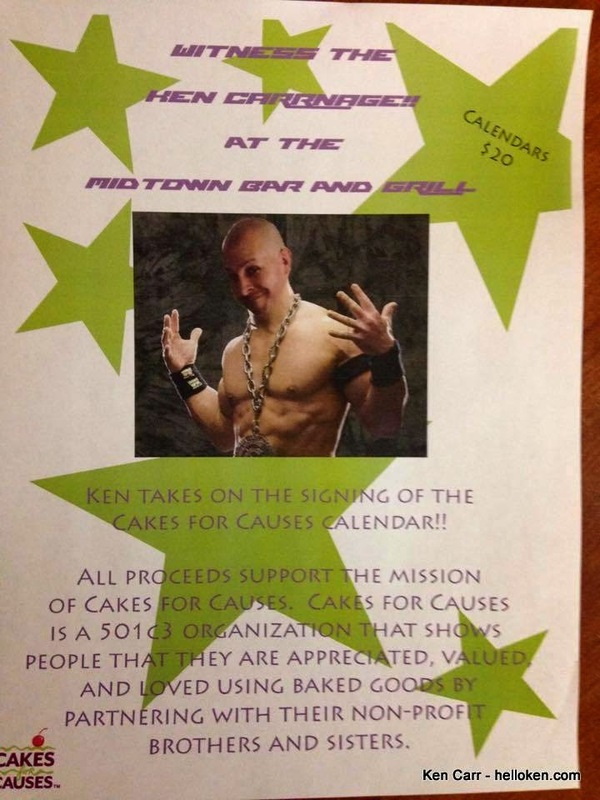 There were a couple of spare hours in my schedule this evening and I had the opportunity to help out my friends from Cakes for Causes with a calendar signing event at Midtown Bar and Grill on Speedway Blvd. 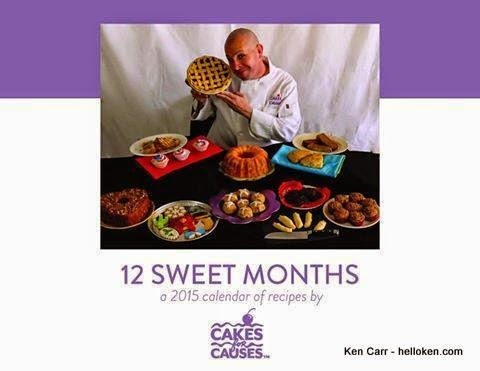 I posted a handful of weeks ago my excitement at being on the cover of the Cakes for Causes 2015 calendar. Some people have wanted a signed copy, I've been happy to oblige. Cakes for Causes is a Tucson non-profit organization that is made up of a group of volunteers who make sweet treats for other non-profit's events. 100% of the calendar's proceeds is being used to buy the ingredients that they use to make their delicious desserts, cakes, cookies, cupcakes, etc. While I was at Midtown, they were having a live wrestling event. The WWE style of wrestling. It was a trip to watch, they wear costumes and put on quite a show for their spectators and patrons. It wasn't quite as exciting as me signing calendars, but close. The calendar very nice. It features recipes for a variety of baked goods, and of course, little ol' me on the cover -- which is perfect to use as the bulls eye for a dart board, as toilet paper, to line the bottom of a bird cage, or wrapping fish. If you want a really nice calendar for 2015, you can order one that is shipped right to you for $22 ($20 for the calendar, $2 for shipping) by clicking here. I had to kiss myself. showed up for the signing event. at Midtown Bar and Grill. but I didn't want to mess up my hair.